Getting access to your workplace could soon be as simple as touching a fingerprint, new research has predicted. 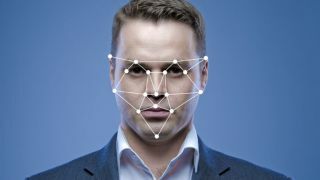 A report from Gartner estimates that more and more businesses are set to introduce biometric authentication such as facial recognition or fingerprint scanning in an effort to simplify their existing security processes. Biometric services have seen a dramatic fall in price in recent months, and are now a common sight in high-street smartphones, and the technology can now be effectively transported to identity and access management (IAM) services in industry devices. This rollout will be aided by a boost in smartphone-enabled services such as apps and scanning tools, which could soon see workers access vital work documents or facilities using biometric scans. Gartner says that an improved user experience is also helping fuel interest in biometric authentication, as does the continued migration of applications to cloud and mobile. The most common use case could be for a single sign-on service, allowing workers access to vital documents or files with just a scan. The firm says it expects 40 percent of global midsize and larger organisations will use biometric SaaS solutions to fulfill most of their needs by 2022 — up from five percent in 2018. 70 percent of organisations are expected to be using mobile apps to allow biometric authentication for workforce access, regardless of the endpoint device being used, Gartner added. “Security and risk management leaders responsible for identity and access management (IAM) and fraud prevention continue to seek approaches for identity corroboration that balance trust and accountability against total cost of ownership and UX/CX,” said Ant Allan, research vice president at Gartner.